You might be surprised to know that at Porters Barbers in Clapham, our facial treatment is one of the most popular services we offer. It helps the modern gent achieve healthier, more vibrant-looking skin and really does improve its appearance. We’ll take you through the steps of our signature Porters Barbers facial, to convince you how good it is. The first thing our highly-trained staff will do is inspect your face. They’ll be identifying problems and designing the best facial treatment for you. Although men generally have more oily skin than women, subtle differences in skin types still exist. So, we want to take the time in the beginning, to make sure that each client gets the most out of his treatment. Our skin cleanse removes surface impurities, leaving you with a fresher-looking face. This is the step when our special products wipe dust, grime, excess sebum and other impurities away. Steam and heat open the pores of the skin. As they open, they expose even more sebum, blackheads, whiteheads and other unwanted impurities. To keep your skin moist and the pores open we use hot towels on your face at this stage. At Porters Barbers, our masks are a potent mix. Cleansing substances will effectively remove impurities and dead skin. Meanwhile, nourishing components in the mix provide important compounds that revitalise your skin. After the mask is removed, a cold towel refreshes your skin. The lower temperature closes the pores and locks in the nutrients from the mask. This is the most soothing part of the process. After the cold towel, toner is applied to the face. Aside from providing an additional cleansing wash, toners restore the skin’s acidity levels. This prepares it for the final step — a deeply penetrating layer of moisturiser. The handsomely fitted interiors and premium services at our Clapham location guarantee you a memorable barbershop experience.  More than just a place for a haircut, Porters Barbers is the grooming headquarters for the 21stcentury man.